Hi bright soul! Of course you want to be loved and in love! It’s only natural of you. Human beings are built to be in relationships with one another and we are happier when we are in quality partnerships built on mutual respect, trust and affection. This is why it can be so hurtful and saddening to see friends and family engaged in the exact relationship we desire for ourselves. You’re happy for them but disheartened for yourself. Dear One, remember no matter your current relationship frustrations you have the power to instantly transform your reality and your life…forever. 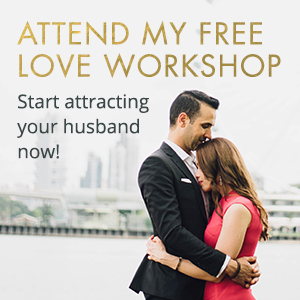 You can step into what is possible and start on your journey to attract deeper levels of love and deeper levels of success… in the way you were designed to receive them! 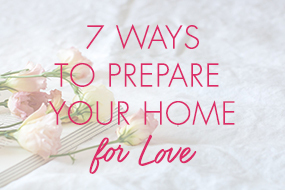 I have many tools for attracting a forever love but have included below what I think are some of the first essential steps. I hope you take this information, digest it, learn from it and start on your journey to attract deeper levels of love. 1. What Is Your Dating + Relationship Purpose? Can you imagine what would happen if you just came out and said it? How quickly you could sort through your dates? Instead of trying to figure out how long you have to go out with him before you bring up the concept of commitment and kids just to realize that he never wants to get married and that kids make him itch with anxiety? What we fear the most is that telling the truth will make us unattractive. But in actuality it is the opposite. The person who wants to give you what you want will find your dating and relationship purpose very attractive. I want you to start to notice how attractive people are when they are being authentic. A deal-breaker is an area of no compromise. We tend to lie/conceal around our deal-breakers. Often we don’t honor our partners deal-breakers OR our own. We think we can bring the truth out LATER when they love us MORE, when we have more power and we can change them. We often tolerate things we swear we never would just because we want the relationship to work out. And we subsequently waste a lot of time and energy trying to make them and us a version we are not and never will be. You want to reveal your deal-breakers in the very beginning when you have the least at stake. Before all sorts of emotions and feelings have been exchanged. If they one day dream of moving to Zimbabwe and joining the peace corps and you don’t think that sounds like the best thing since your last girls trip to Cabo then walk away. Other examples of deal breakers: children-timing and how many; money, the “when” of marriage, pets, religion, lifestyle choices (drinking, smoking). 3. The next thing to be honest and sincere about: The Give/Get. Home cooked meals 3x a week… or more? Stimulating political conversation ect. ect. Career support–he needs to understand and cheer-lead you on. The only way you will be able to honestly communicate all of the above to your dates or partner is if you drop the scarcity mentality you have been living with. There are over 3 million people in the United States. One of them will like you. It’s not a “quantity” problem–it’s a “sorting” problem. How fast can you sort through the possibilities? Instead of trying to make the most out of the guy in front of you. Now in your hands is your blueprint for living success in love. Here’s what I want you to do with it — Be honest about it. Refine it whenever you like and use it as your guiding principals in love. Remember, the better you know yourself the more clear and transparent you can be in love and life — and that is a recipe for success!